GAIN is the acronym of the Global Aggregates Information Network. It is an entirely voluntary network of the major regional aggregates associations of the world. It has no commercial interests and vigorously enforces an anti-trust policy. Aggregates are crushed stone, sand & gravel normally extracted from quarries and pits, but also from the sea (as marine aggregates); aggregates may also be produced from recycled construction and demolition materials and from by-products of other industries. The recent GAIN meeting, kindly hosted by FdA on May 20-22, 2018, in Barcelona, Spain, enjoyed a record attendance with representation from Australia, New Zealand, China, India, Japan, South Africa, the United States, Canada, Argentina, Brazil, Colombia and Europe. 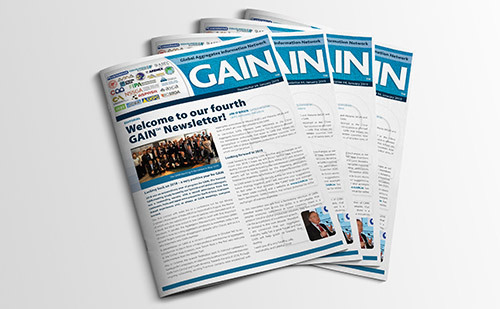 The purpose of GAIN is to openly share experiences and industry best practices in the interests of promoting the greater sustainability and performance of the aggregates industry globally. Its meetings show that the challenges experienced by the industry in various parts of the world are remarkably similar, yet different regions can have surprisingly differing solutions. Consequently there are valuable “gems of wisdom” experiences and best practices to be exchanged. GAIN members are shown on the global map, which together represent 70% of the global aggregates production of ~50bnt (billions metric tonnes), produced in around 500,000 quarries and pits worldwide, estimated to employ up to 4 million people. The aggregates sector is by far the largest extractive industry globally in terms of its numbers of sites, production tonnages and people employed. Aggregates are the most consumed bulk product on the planet – over 6 tonnes (metric)/person/year.